I am so excited to share with you all another card I made for my OnStage display board in Ft. Worth. I love the Flower Shop stamp set and I’m so sad to see it go! I have used this stamp set so much over the years. 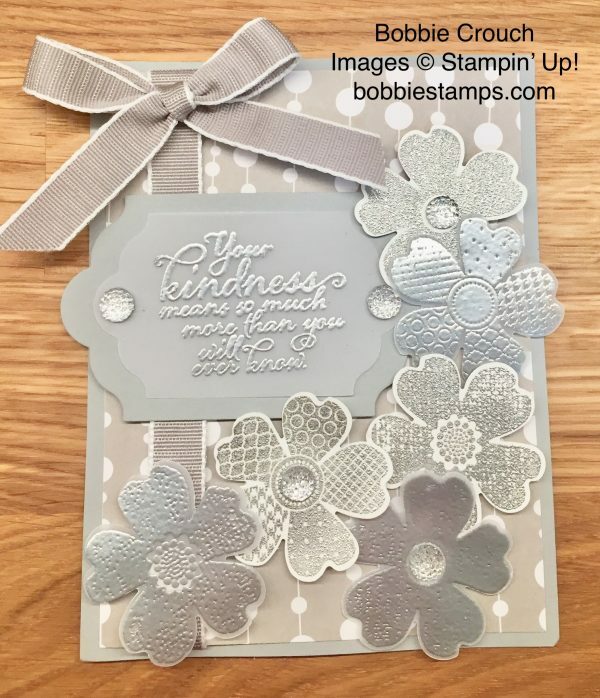 I’ve combined to of my favorite things in this card heat embossing and the Flower Shop stamp set! I was given the DSP & ribbon I used on this card to showcase for OnStage. In the supply list, I can’t list some of the items as they are not yet available until June 1, 2018. I hope you enjoy the video and might give this card a try. let me check and see what is going on.